Ouellet, Éric and Pierre Pahlavi, Adam Chapnick et Craig Stone. Manuel de rédaction à l’usage des militaires. Chapnick, Adam and Kim Richard Nossal. Eds. John W. Holmes: An Introduction. Special issue of International Journal 65,2 (Spring 2010). Chapnick, Adam. 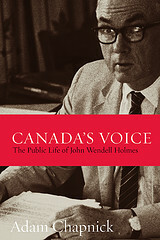 Canada’s Voice: The Public Life of John Wendell Holmes. Vancouver and Toronto: UBC Press, May 2009. Short listed for the Dafoe Prize ($10,000) recognizing the best book on Canada or Canada and the world in 2009. Chapnick, Adam and Craig Stone. 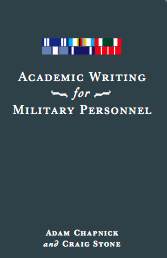 Academic Writing for Military Personnel. Hillmer, Norman and Adam Chapnick. Eds. 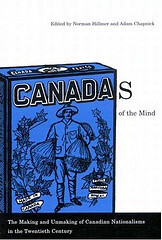 Canadas of the Mind: The Making and Unmaking of Canadian Nationalisms in the Twentieth Century. Montreal and Kingston: McGill-Queen’s University Press, 2007. Chapnick, Adam. 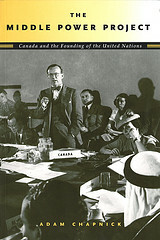 The Middle Power Project: Canada and the Founding of the United Nations. 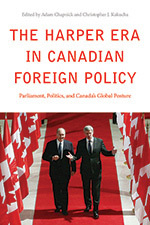 Vancouver and Toronto: UBC Press, 2005. Chapnick, Adam. Ed. 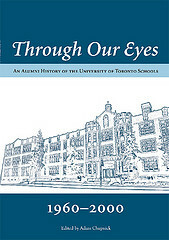 Through Our Eyes: An Alumni History of the University of Toronto Schools, 1960-2000. Victoria, B.C. : Trafford Publishing, 2004.